It is Lord Sananda speaking. It is my deepest pleasure to be here once again with each of you. This week we are going to be bringing forth the Bridge that will assist every one of bringing in the heavy duty activations into relaxing with the new frequencies that your Cellular Memories are accepting. We are finding that many Lightworkers that are truly having a very difficult and challenging time in the physical body because the Cellular Structures are truly moving through the frequencies at a much deeper level than previously expected due to the work that each of you are doing. So we want to say, “Congratulations.” I know at times it does not feel like you want to be in celebration of what is happening for you as it can cause a lack of balance in the physical existence. Tonight we want to assist each of you to bridge the two worlds in the frequencies you are experiencing presently. This is not a permanent bridge; this is an element that you can utilize with this meditation this evening to assist you from getting to here and now into the present because you are fully accelerating yourselves in the Oneness in your full body system. You are bringing forth into you the Physical, Etheric, Emotional and Mental are assisting the Spiritual level to be more fully activated within the cellular structure as the waves of frequency are opening up, but at times the physical body is not quite ready to receive the frequency that the Cellular Memory wants to fully incorporate within all essences. Let’s speak a little bit about what the Cellular Memory actually entails. The Cellular Memory contains pockets of information and frequency that are contained not only within your Physical body but within your Etheric Realm. That Etheric Realms holds all those frequencies of light information from many lifetimes, many timelines from your past, present, and your futures. It is about your Soul’s existence so when the elements start to become activated within your physical existence, the physical body has a very hard time dealing and accepting it fully. No matter if it is something that you have acquired from a previous lifetime, meaning Timeline. When we say, ‘timeline’, that is what we mean. Or it may be something brand new that your soul is ready to incorporate from the knowledge based on your Missing Puzzle Piece that has been activated on a higher frequency but you have not fully activated it within the physical vehicle. So there are many elements coming into play with these frequencies and that is why it can be different for each of you and want you are experiencing. 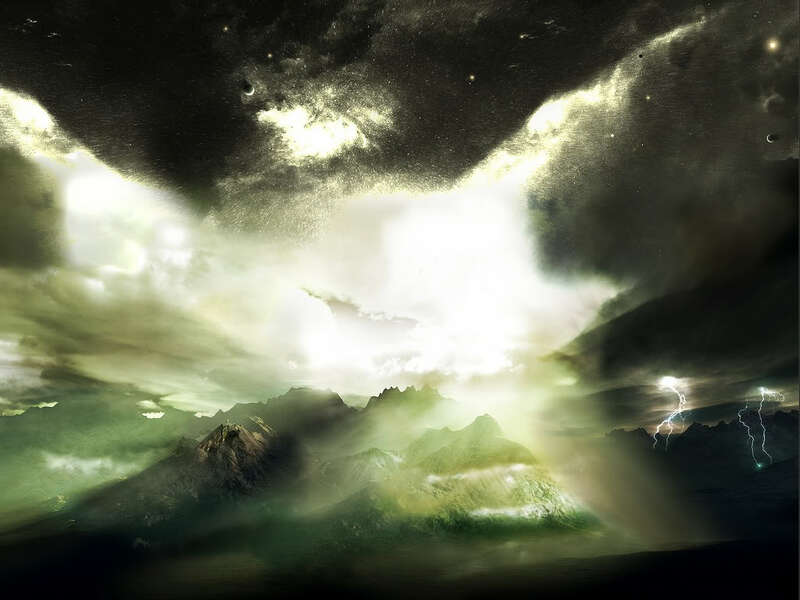 We would now like to assist you with the first element; take a deep breath and feel the essence your Etheric Realm. As the body is sitting here accepting the vibrations that are coming to you within your breath in this moment, from your Soul’s capability and your I AM Presence to activate it within the totality that you are, it is important to take stock of where you may be. So I ask you to put aside your Lower Mind and your Lower Heart while activating your Higher Mind and your Higher Heart through this meditation. This is going to assist you completely. We ask for a complete cleansing within the four-body system. We are going to utilize the frequency of the Sea-Foam Green as that is going to activate your Higher Self while helping to cleanse all aspects within you that you fully are unable to do so on any other levels. Breathe deeply and allow this energy to come within your entire structure starting at the Crown, into the brainwaves, into the memory patterns within the physical body, moving those essences through your sinus areas, through your eyes, the ears, nostrils, gum lines, the roots of your teeth, the entire structure of your head, moving that frequency into the back of your throat, the back of the neck, through the shoulders, down the arms, the fingertips. As we go through all these areas, I want you to realize it into your bloodstream, all the systems associated with those parts of the body, moving into your chest, your upper back; as we move down into the shoulder blades, we fully feel the essence into the middle part of our back, the spinal column, into the Solar Plexus and deeply into all the organs that are associated with those areas. Moving down to the Sacral and the lower back, then the Root, the Coccyx Bone, into the base, filtering the energy through the hips and the thighs, knees, shins, calves, ankles and the feet. Feel the Sea-Foam Green swirling within us as it now it goes into our Earth Star centering the Etheric level clearing away any timelines that do not suit our purpose for the activation for these energies to fully come within. We want to bridge the gap between both worlds. As we breathe deeply, we feel the Sea Foam Green coming up on your feet around the outside of your body filtering towards the Crown and then coming back down towards the feet. Allow the Sea Foam Green to permeate from the Etheric level into the Physical level as the Etheric and the Physical levels need to fully interact with one another. We now move the energies of the Sea Foam Green outward into the Emotional body as the blending is now going to occur as the Physical and Etheric become one and moves into the Emotional body which is outside the Etheric. Allow all emotions to be fully in balance. We want you to have your feelings and accept them, but we don’t want them to be traumatized or of a lower nature. Let’s breathe deeply as the Sea Foam Green goes completely around the Emotional level and we connect to the Mental level. As we do that, the Sea Foam Green, from the Physical, Etheric, and Emotional has reached out to the Mental as they blend together. Allow any thought forms, any elements from previous timelines that can get in the way, even if they are from a month or a year ago. They don’t have to be from this lifetime. We want to put all of this into wholeness. We want the full body to accept the transition that each of you is going through presently. Breathe deeply into that feeling. Now we have created the full four-body system to be One Unified Body to allow the connection of the Spiritual body, of the Higher Self to be more fully activated within the physical existence. At this point, we are going to allow these energies to settle within, and bring in the frequency of the Divine Mother and Divine Father God of the Cosmic Great Central Sun to assist us with the rest of this journey. I AM Lord Sananda at your service. Thank you for being with us. I AM the Divine Mother and the Divine Father God as the Cosmic Great Central Sun at your service in this moment. Let us all breathe together in Unison. Part of the process can be may be the fact that you are insecure about what is occurring because you do not understand it. As we have said previously, there can be no understanding on these levels that you are accepting within your Being. As you fully allow your breath to be in this space, of your Physical Essence, allow yourself to fully incorporate within your Heart or any other areas that you may feel that there is blockages or non-movement for you not to accept these frequencies. At times, it is not always on the physical level that you can ascertain what is happening but it truly is for each of you. Your physical body is not fully accepting the frequency that is occurring. So let’s just sit in that element for a moment; take some deep breaths as we run the bowl to assist you to feel the vibration in whatever part of the body that may not be accepting it. Breathing deeply ~ is there an aspect within you physically that you feel needs more balance within those areas or it may just be within your Heart. As we open up the Heart more fully, now you should feel as if you are totally open and the sun is shining down upon you and there is nothing to do but surrender into the next moment to receive the essence that is important for your acceptance. As you breathe deeper into this area, allow yourself to incorporate your multi-dimensional abilities from your Higher Self. Feel these frequencies coming to you as this is what each of you are experiencing on many different levels. As you experience them on many different levels, you fully understand the process as your Higher Mind is being more fully activated in the acceptance within your Physical Body. Allow your Higher Self now to stand before you. He or she is imparting these frequencies unto you; please know we have your best interests at heart and will not bring anything into that you are not ready to receive. But the physical body must heal, it must accept the higher levels of energies and at times, that physical body is unaware of the ability to move into a higher level of existence. It feels like it is dying so we ask each of you to fully take a deep breath as we bring in the Bridge to the New Age which is the Pink-Orange Ray. Feel this ray coming from your Higher Self unto your Heart. As this is the connection that is needed for you to fully embody it, it comes into your Solar Plexus and your Heart. Allow your inner power to see the ability to fully accept this frequency of Light unto You. As many of you experience jumping from one to the other before the other, this ray of accessibility of the Pink-Orange will assist you in your own Inner Power of the Solar Plexus. It will assist you to accept yourself as you fully have incorporated the Devotional Ray, 3rd Dimensional Ray which is in the Solar Plexus as that infiltrates within you. 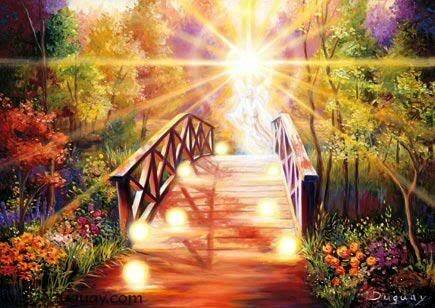 As the Bridge to access the knowledge from your Highest Essence is now being activated through your Higher Self; he or she stands in front of you and brings forth this ray into your Solar Plexus. Feel this frequency coming towards you which may be in waves of love, waves of information, or waves of acceptance. As it flows, you feel this Pink-Orange coming into your Heart and the rest of your body. As we have activated the four-body system into a full essence to receive the Lightbody, the Higher Self is now more readily and easily acceptable to come into this space of Beingness. Filter that within your physical body at this point. We are going very slow tonight because we want you to feel the effects of what can happen when you fully allow it to be in slow motion and not a quick jump into the new frequency of Light. Feel the essence that is occurring for you now and connect to any thought processes or feelings. What does this wave of energy feel like? It should feel more balancing, calming, and it will bring forth the ability for you to the Divine Love that is necessary for you to receive your Highest Essence within your physical body as he or she is bringing forth to you frequencies of Light that your body has not been accustomed to receiving. Allow these waves of frequency of the Pink-Orange to flow through you. As they come within, you feel an acceptance occurring within your Physical Essence and just breathe out the words, “AAHHHH, AAHHHH, AAHHHH, AAHHH, AAAHH.” Now the frequency of the Pink-Orange Ray is flowing through your entire being as your Higher Self stands in front of you as you are now ready to receive the activations that are necessary for your pathway in your present moments. They may just be little particles or larger ones than that depending upon your individual choice as the acceptance of your physical self and the integration of your higher self occurs, the flow of this frequency of light is going to assist to allow it to be integrated in a fluidness that is acceptable to your physical body. As your Higher Self stands in front of you, allow yourself to see many colors that your Higher Self may represent. It depends upon your choice and what you want to receive in these moments. You may already have been receiving these frequencies of Light. It is just that you may have been unsure of what is occurring. Let us breathe deeply as we see Sparkles of Light of many different colors and allowing the frequency to fully come within you of all these different levels. Being a multi-dimensional being of light you are fully accessing many frequencies beyond the consciousness of the God Force so it can be a pre-determined factor or it can be something that is chosen by your Higher Self to fully receive in this moment. Let us do some breath work and bring in the frequencies for you to now receive the stability that is necessary in your physical body. Waves and waves of colors ~ We of the Divine Mother and Father God guide each of your Higher Self’s, the souls that we know so very well, to be fully activated in your physical body at the level that is necessary for you in this moment. Not too little and not too much, but all in balance as the bridge of the Pink-Orange Ray is now activated between you. You start to feel the fluidness that is part of your Highest Essence into the physical. 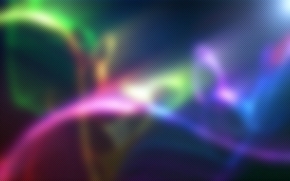 Feel these sparklets of colors of light in Blues, Greens, Yellows, Goldens, and higher colors along with many other frequencies as the timelines that you are trying to access in your dream-state or now going to be more aware to you that will assist you in the pathway that is occurring in these moments. Let’s breathe deeply and receive this activation. We, the Divine Mother and Divine Father God, impart to each individual at this time to receive the packets of light-code information that is necessary but in the balanced state that the physical self needs to fully understand and process. Breathe deeply we bring forth this essence of continuance for each of you in the particles of Light opening up your pathway unto abundance, prosperity, love, joy, charity, deepness within your soul, and acceptance of All that You Are in the portion that is readily available to you in these moments. Feel now the frequency coming into your Solar Plexus blending with the Pink-Orange Ray with all the frequencies as your Higher Self has been activated more fully in your Thymus as it blends with the Heart and Solar Plexus as One. These frequencies now move down in your legs, into your feet and onto your Earth Star as it moves upwards into your higher frequency. Let the colors of the Ruby Red, Pink-Orange, and Magenta with Deep Pink and Sea Foam Green all blend together as they all represent each of these aspects but bring forth the combination of all the energies of Higher Self and the Physical. Allow these elements to go to any parts of yourself that fully need the reflection that is within you. Feel this essence moving through you; feel it grounding into your Earth Star which is going to spin in a clock-wise manner. As it spins, it is going to move down more fully into the core of the Earth. 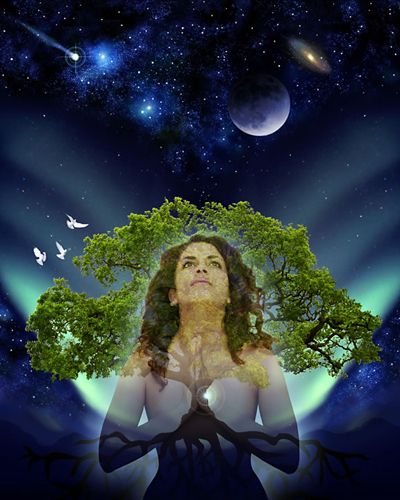 Feel yourself almost becoming taller with these frequencies because you are expanding from your Highest Essence into the lower part of your body through your Physical Essence into the deepness of Gaia. Breathe deeply; now feel the elements that may have been bothering you previously. Feel the connection that you have with your Earth Star and the deepness of Gaia as it moves into your Solar Plexus, your Heart and your Thymus. Then feel the higher frequencies of the higher chakras being more fully grounded within the physical. It is almost like the frequency of the Pink-Orange Ray is fully pushing you backwards and there is a stability force behind you that allows you to sit and receive it.. SIT AND RECEIVE IT. SIT AND RECEIVE IT. It will go through all the elements in your physical existence ~ any organs, any brainwaves, any thought processes , any parts of your bodies that are not accepting the frequencies of light and it will help them to heal as now they are going to relax. Allow this relaxation to go all the way into your Coccyx Bone, feeling yourself just sitting and accepting this Frequency of Light. We, of the Divine Mother and Divine Father God, have brought forth a new wave of attunement this evening to assist each and every one of you as we know that many of you are being affected on a physical basis at this time due to many elements that could be from lower elements being released, higher elements trying to integrate, or other elements that are in your environmental conditions. Whatever it is right now, you are in the safety and the frequency of your Higher Self and God’s Light of Divine Mother and Father God imparting these frequencies unto You to let you know that we totally understand what it is you are going through, but understand that each of your experiences are different. The core of them is the same. Let us breathe through this element and allow it to just flow through you in waves and waves of Light. Breathing deeply you should now start to feel a deep connection with All That You Are and allow these timelines to all connect into the frequency of Oneness That You Are, That We Are All Together. We of the Divine Mother and Divine Father God of the Cosmic Great Central Sun, are eternally grateful for the pathway that you are upon and are here to assist you in realizing your frequencies within your physical essence. So Mote It Be in the Light of the Christ. May we all walk together in the consciousness of this light of this Earth. In the Name of YHWH and All That We Are. This is Lord Sananda speaking once again. This definitely was a different kind of frequency for Divine Mother and Father God to bring forth. They are realizing what each of you are experiencing on many different levels, as we fully want to balance these frequencies unto you so there will be more techniques opened up as we go further into this process. 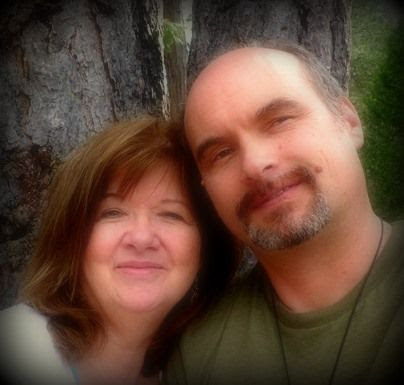 It is our Divine Desire to assist you as much as possible and we are learning greatly from each of your experiences so do please connect with us as you have been doing. This is allowing us to bring forth more levels of understanding than we previously have been doing, because within these frequencies we are allowing all levels to be activated and this is one way we are doing so in these moments. I cannot tell you what it means to me to share these words and these frequencies as I fully walk with you unto this pathway. It is with great honor that I do so. I Am Lord Sananda, Spokes-Being for the Christ Consciousness of the Cosmic Great Central Sun frequencies. It is my divine pleasure to be here as Lord Sananda, the Spokes-Being for the Cosmic Oneness for the Christ Consciousness. Thank you so very much for being with us in this moment. There has been great reflection for each of you occurring in all aspects of your Being. Within these Elements of reflection, it’s very important to allow them to be removed. Sometimes we don’t realize that all these aspects are not fully gone from our entire system. Our goal this evening is to assist you to understand what it is that you may not be looking at, that truly is a part, of a detriment of not assisting you to move into the next phase of your growth and your pathway. These can be little particles, they may not be something large – but they are locked away in the cellular memory. So this evening we are going to wake up the cellular memory onto your Physical Being, because what we’re really doing here s to assist in the process of allowing those Frequencies to blend together. We truly want the cellular memory to be opened up and allow those old Elements to be removed and the frequency that is incorporating within you, to be activated in a different way. Please take a deep breath. Within that deep breath, allow the activation – that you are one Being of Light and within, this one Being of Light, you’re allowing yourself to fully understand the processes on all levels, through the essential components, to fully come into balance. Each of you has been aspiring to great things. Each of you that are listening and are part of these recordings is fully in a state of movement. Sometimes these states of movements can be slower or they can be swifter but what they need to be is constant. It’s imperative that on each day, that when you awake, you do a connection. Within this connection, you connect with your Higher Self, the Spiritual Hierarchy, or whichever guidance that you feel is very important to you in that moment. Without this connection you’re not going to be able to actualize your life more fully within the Higher Self. It’s important to bring this Essence unto your Physical Being. As you do this, it will become an automatic element for you – that the connection between each of us and yourself, that there will be no separation. But there needs to be a practice month and within this practice moon, you must totally allow those Frequencies to be within you, because the more that you tap into it in a Higher Consciousness or a deep meditative state, there is more of an understanding occurring. This is what is filtering into your cellular memory. So we’re activating the cellular memory unto the Physical Creation that you are. Please take a deep breath as I run the bowl. As I do that I want everyone to concentrate into your Solar Plexus, the Heart and the Thymus. 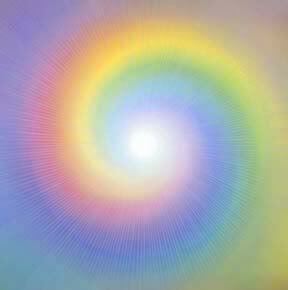 On the Fifth Dimensional Frequency the color of this Ray and the Chakra is Magenta. First we’re going to center upon the Solar Plexus of the Third Dimensional of the Ruby Red. You will see a beam of light in front of you, of the Ruby Red color coming into your Solar Plexus and this is your Divinity unto yourself and then unto the world. This is your Higher Frequency in the Third Dimensional, in a Cosmic Level. Allow that to infiltrate within you. Feel your Essences within starting to shift and change. Because of this Cosmic Creation, the old elements cannot be activated on this Higher level. Then we’re going to go deeply into the Heart. That is the Pink. Go deeply within that Heart part of you with the Pink Ray of Compassion and Love. Allow that balance to occur within you, whatever you may be feeling on other levels, we want it to be fully incorporated with the Pink Ray. This is also your Ray of Manifestation and your Desires, because as long as you have Joy and Happiness within you, you can fully allow those Frequencies to filter within. Now we’re going to move in to the Throat – of the Will and Power, of the Blue. Allow that Will and Power Ray to fully be within you. Then on the Forth Dimensional Frequency we bring in Pink Orange into the Solar Plexus. The Pink Orange is the bridge to the New Age, so you’re moving from the old self-reflection onto the Higher Frequency of the New Age Science. The Heart then filters into the Gold. Feel that Gold Frequency fully being within you, of the Christ Consciousness. We now activate the Thymus area, which is the Sea Foam Green. Were going to pull in the vibratory communication of the throat, of the Forth Dimensional Ray, into the throat are – which is a violet Pink. This is when you can transfer your thoughts unto others and you feel these Frequencies within you. We have included the throat because it’s a very important aspect to be using the throat chakra through communication. Now we’re going to pull all of them together. We’re going to bring in the Magenta, as the Magenta creates one unified Chakra – of the Solar Plexus, the Heart and the Thymus. The Throat is going to go into a higher vibratory color. Allow that color to be a mixture of many colors, and to bring in the act of Beingness. We really want to center on the Magenta at this point. 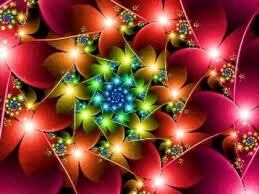 As we bring in the Magenta, we want to access the Fifth Dimensional level of this Ray and this Chakra. The Magenta is the balance between all these three Chakras – of the Thymus, the Heart and the Solar Plexus – and within that, you have your Will & Power, you have your Activation occurring. Within the empowerment, you have your Heart Center, which is totally balanced and full of Love. You have the Sea Foam Green, which is the Higher Cleansing Ray, but it means that your Higher Self is now fully activated within those areas. Allow Him or Her to feel this Essence. Now we’re going to ask the Higher Self to assist and open up all avenues into the deep cellular memory that is necessary within your Physical Essence. So we’re going to move into the Etheric Level with these colors, of the Magenta and the Sea Foam Green. Allow the Frequency to be fully activated as now we prepare for the Cosmic Energies of the Divine Mother and the Divine Father God. It is my pleasure to be here as your Spokes-Being for the Christ Consciousness. I am Lord Sananda at your service. I Am that I Am that I Am that I Am the Cosmic Great Central Sun and the Divine Mother and the Divine Father God. We are the Heart of God and the Will of God, in the combination of the Cosmic Great Central Sun. Allow your energies to now receive the Frequency of the Light to assist in your Beingness, in the Frequency of All That Is. Breathe deeply as we will fully activate the Magenta in your three Chakra System of the Fifth Dimension. Feel the deepness of this color swirling within you as it is a deep Rosy Pink. Moving into the Higher Frequencies that you desire, let it bore a hole right in the Solar Plexus in this moment. Allow the full infiltration, as this is your Empowerment. This is your core of activation of vibrancy. Allow that to be within you, in the deepness, as it blends with the Pink Orange and the Ruby Red. See those colors blending within you as it moves into the Solar Plexus, now it moves into the Essence of the core of your Being and your cellular memory and moving into the Etheric level. That is going to assist any debris that needs to be removed. Breathe through that. Breathe through that. Breathe through that Essence. Breathe through the Frequency that you are. Allow the palpitations within the Solar Plexus to be activated. Feel the beauty that you are. We ask for the removal of all Elements that do not serve your empowerment. We ask for these Frequencies to move out of you in all that you are, in all that you are and becoming. Breathe through that and feel it blending within you. Feel the Essence of all that you are in this deep moment of creation ~ Allowing the Devotion and the access to the Higher Realms of the New Age to be fully within your Solar Plexus so that you can activate it in your physical sense. Breathe through this. Breathe through this as now we move into the Heart. Feel the deepness of the Pink, of the Compassion and Love and your Manifestations, to grow deeper and deeper within you. Allow it to move into all aspects. We ask for any ill feelings of lack or in poverty consciousness, to be fully removed through the Frequency of the Pink Ray, through the Frequency and the deepness of the Core of your Being – you can feel your Heart accepting this Frequency. Now we ask for the expansion of the Heart chakra – deeper, deeper then it ever has been – as if it is boring a hole within your back. Allow that to expand as the Lotus Heart now opens unto the Golden Flame that is now the Forth Dimensional Ray of the Christ Consciousness that you are. Allow your Higher Self to be your guide at this moment as you bring in these Essences. You bring in the inflection of what your Soul desires, not the physical. Let it blend into the Etheric and allow that to move through your entire physical body. Breathe deeply in that Essence. Breathe deeply. Now let’s move to the Thymus. Feel your Souls Essence as He or She is now allowing the activation to occur more deeply because you are opening up your senses unto the cellular memory. Allow the physical to relax with these Higher colours. Feel the pleasure of your Souls Essence in the Thymus but allow it to move down through the rest of your body as we incorporate the Ray of Sea Foam Green. Now let the Sea Foam Green go into all areas of your body, all the muscles and the tendons, any areas that may be hurting deeply. Allow it to go into the bone structure. Allow it to go into the skeletal structure. Allow it to go into the circulatory system and all the inner workings of the spinal column. Allow these Frequencies to all blend together into one large component of Light. Breathing deeply now, as the Sea Foam Green is activating the Frequencies that you are allowing yourself to feel. We ask for the cleansing and the processing of all Elements that do not serve your Highest Purpose in these moments. We call upon the Frequencies of the Light to fully infiltrate your Being right now. Whatever it is that you asked for, put it out in this moment so that we can assist you. I come to you as the Heart of God, as the Divine Mother, please accept the blessing I enfold upon you in this moment. As I express the Female Divine through the Essence of this woman. Let yourself go within and feel the Essence that you need to assist you in these Elements you need to release. Allow yourself to walk through a doorway that is filled with the purest sense of Magenta. Feel the beauty of the Pink Orange and the Gold and the Pink and the Ruby Red and the Sea Foam Green. Now you are one swirling color of Light within you, around you, inside of you, outside of you – in the frequency and the expression that you are. I embrace within you, a whisper, a whisper that you need in any of these hearts of your body. Receive, my children, receive. As we change your cellular structure, allow the memories to be filled with great nurturing. Nurturing. Deepness of my Essence as I embrace it unto you. Breathe and allow yourself to receive. I now come to you from the Will of God. I come to you from the Masculine Divine to assist you to find your empowerment as you have been nurtured by the Divine Mother, I now will assist you in your strength. Within that strength, it must bring forth the assistance of nurturing and softness that is necessary for the strength to really be in the capacity that is in the Higher Realms. I express to you right now, I hand you my Golden Light. As I hand you my Golden Light, feel the cementing of all your vulnerabilities to be flowing through your Being, because within those aspects, you fully have all Elements of feeling the Love deeply, but expressing it even more deeply. Let it run through your veins. Let it run through your system. Allow the cellular memory to see that you have the strength within you. When you embrace this aspect, you will see a difference in how you relate to all that you are encountering upon your pathway in each moment – whether it is a challenge or whether it is a pleasure, I extend unto you the ability to find your Divine Will. As you find this Divine Will in your Solar Plexus, with the nurturing that has been given, we blend it together. It moves to your Heart and it flows deeply within you. Now your Higher Self is activating the power that He or She has enabled. Let it flow in your Physical now. As we now come to you as the Divine Mother and the Divine Father God in the expression of the Oneness of the Strength and the Heart coming together, finding that ability to walk through the processes that enable to you to feel and express the love but also see the strength and the walk that you are taking. You can handle any element that is coming across your path. You take a deep breath now and feel these Frequencies in all the Elements within your body. You start to feel them memories, the memories of your power, the memories of your gifts fully surfacing out of you because the other elements that were hiding it are now removed in this reflection of what we have given to you. Allow yourself to embrace this moment. Allow yourself to feel the Essence. Allow yourself to understand the capacity of love that you embrace within you from your Souls Essence. Now deeply, deeply feel it. Deeply feel it into your core. Allow these Frequencies to go into your Root and ground them deeply. Ground them through your limbs into your Earth Star. Allow it to surface in your Sacral area. Allow it to move up to your Throat so you can express it through your voice. Allow it to move to your Third Eye so you can perceive all that you are expanding. And your Crown is fully embracing the Divine Love that you are, as you come into balance. As you come into reflection that you are – not what your memory has put upon your mind. As the mind and the heart are now balanced together, you feel these Frequencies blending in the Essence that you are. Breathing deeply. Breathing deeply and allowing it to settle deeply within you. Get used to this. Practice this because it will assist you in each moment that you transform yourself. Allow the cellular level to fully expand unto what you are receiving. Let it move into the physical. Let it blend with all Elements as you now become one full body of Light. This is the expression we desire for each of you. We are the Divine Mother and the Divine Father God in the expression of the Cosmic Great Central Sun, at your service. We are honored to be here in this moment to assist you in this process of this Divinity that you are. Allow yourself to expand within it and to receive it deeply. Deeply. We Are One. Always have been and always will be. Now we are activating it consciously. So Mote It Be In The Light Of The Christ. We are the Divine Mother and the Divine Father God of the Cosmic Great Central Sun at your service. This is Lord Sananda once again, it is a blessing to receive in this way. It is a blessing to allow these Divinities to fully be within you so that you can accept the challenges and the hills that you have to walk and they will walk down the hill – feel the exhilaration of what you have accomplished. Tonight is a night of accomplishment. Allow yourself to embrace this Essence that we are embodying unto you. It is my pleasure to be here with you as Lord Sananda. If you would be interested in listening to the audio recording of this call as it was very powerful and can be utilized repeatedly, see Audio Recordings, Cosmic Oneness, November 27th, 2011 to download the recording. Cosmic Oneness is one of three calls per week that take place via teleconference and joining live will fully accelerate an individual’s physical existence. Please see LifeStationEarth, Conference Calls for more details. All are welcome to join in as no one is turned away. Please see our policy on Terms of Suggested Exchange, http://lifestationearth.com/terms_of_suggested_exchange_157.html.